Irish in the American Civil War's 1st Birthday! 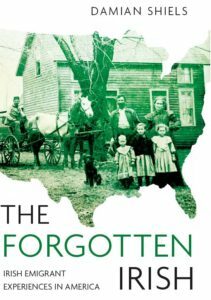 Irish in the American Civil War celebrates its first birthday this week. It is hard to believe it is already a year since the first post on the blog, how time flies! There is still a long way to go before the site achieves what I would like for it- to become a research tool on the internet for those interested in the Irish experience of the Civil War, and also to tell the stories of the Irish men and women who were caught up in the conflict. Researching the posts and pages for the site has been a learning experience for me, but one I have greatly enjoyed and which I hope to continue for a long time to come. The site has brought me into contact with a lot of great people both in the U.S. and Ireland, as well as the fantastic Civil War blogging community. Thanks to everyone who has helped out during the course of the year, be it guest posters, fellow bloggers, those of you who have suggested additions or corrections, or the authors who have written or edited the books that I have taken the opportunity to review! I thought the occasion would be a chance to have a look at what have been the most popular and least popular posts in terms of hits on the site, for anyone who might be interested. Out in front is a post from last December about President John F. Kennedy presenting a color of the 69th New York to the Irish Parliament, A Civil War Flag for the Irish People. Bringing up the rear is A Long-Lived Confederate Irishman which I think lags behind purely by virtue of the fact that it was an early post. It includes an extract from the Confederate Veteran about Irishman Tommy Campbell, who was still going strong at the age of 102 in 1909- he had been discharged from the 5th Confederate Infantry in 1862 (as overage!) but went on to serve with the cavalry. I hope to be able to bring you the best and worst performers again in a year’s time, and I’m looking forward to the next 12 months blogging. Thanks to everyone for reading! Damian, you have developed an excellent blog. Congratulations on your first anniversary and I wish you many more! Thank You! Just to add that reading and reviewing your book was definitely one of the highlights of the year! Happy Birthday, IITACW, and many more! Many thanks! And thanks for all the support! Happy Birthday!! Love the site, keep up the great work! Great site. So much here in just a year! Many thanks- by the way I am greatly enjoying your posts on Long Island Wins as well!